I don't see enough clamps there. I think you need a few more. James, you gunning to be elected Vise President or somethin ? Careful, our Moderator may have to clamp down on this topic! All these comments about clamps is putting a strain on the subject. Actually, I find the conversation quite gripping. As they always say, them's the brakes! I'm glued to the forum watching all the friendly bonding going on. 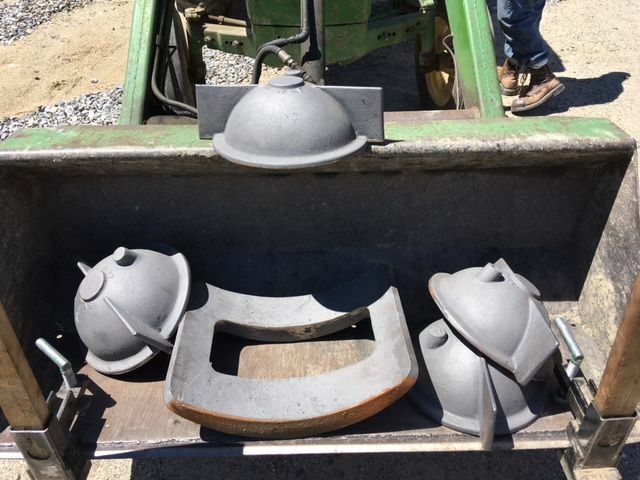 Recent castings of brake pots.. They look great. Can't wait till we have them in service on our trains. I can not say it enough, we are very fortunate to have so many wonderfull members, volunteers, and friends.